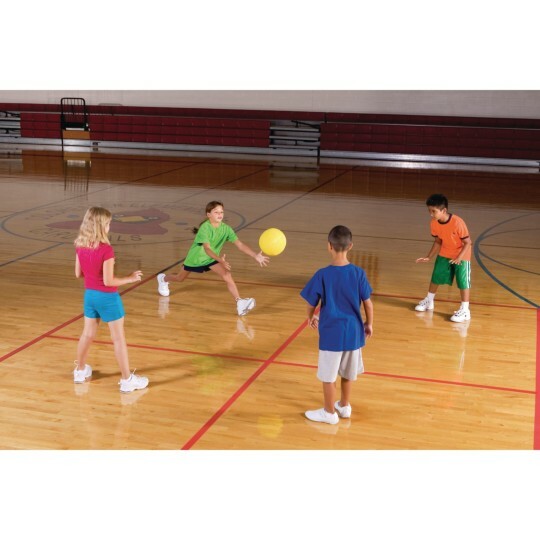 Our most popular playground ball! Our most popular playground ball, constructed of durable 2-ply pebble-textured rubber with a butyl rubber bladder. Everyone needs playground balls, and everyone should have one of this quality and value! Makes an excellent dodgeball. Please specify red, yellow, blue, green, orange or purple when ordering. 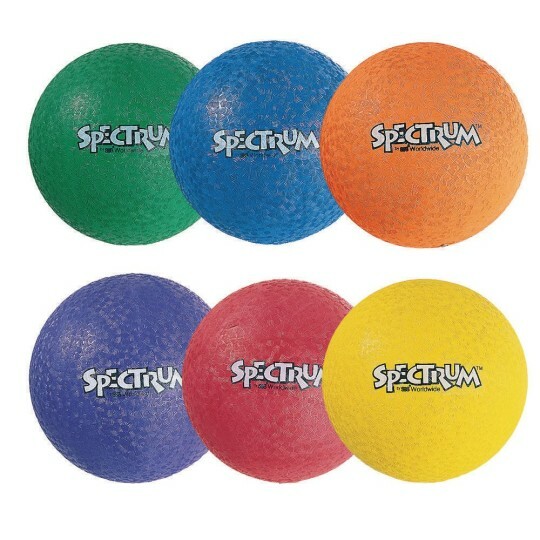 Purchased four of these balls plus the separately listed pink one so a total of five Spectrum balls in various colors for my kiddos. In less than two months two of them one green one blue have been thrown away already due to splitting and were played with by a 3 year old and a 5 year old. They received almost daily use on a concrete patio and were constantly rolled down a plastic slide.The other two one orange one blue are played with by a walking 9 month old and a cautious/careful 8 year old and are doing fine. All of the balls are kept in the garage when not in use so they are protected from the elements. I have only 2 balls left and summer hasn't even started yet.Very disappointed. Merchant response: Our customer's feedback on their experiences with our products is vital and it helps us to identify problems. Reviews are sent to the appropriate departments and appropriate actions will be taken. We appreciate your time and assistance in monitoring the quality of the items we offer.